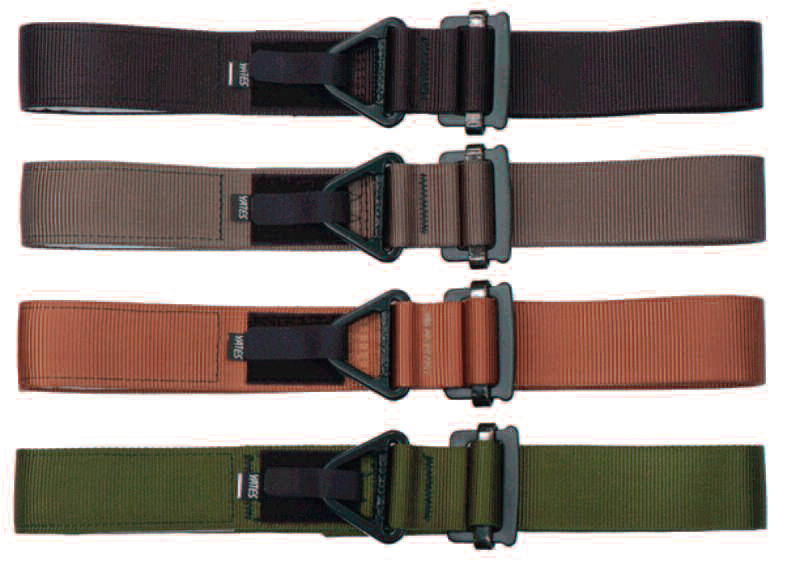 Lightweight 1.75 inch width uniform belt that can be used for emergency rappels. Camlock waist buckle for quick adjustment and no slippage. Front V ring used for attachment point. Makes a great instructor safety belt. Made with 7000 lbf. webbing. Strength 4000 lbf. 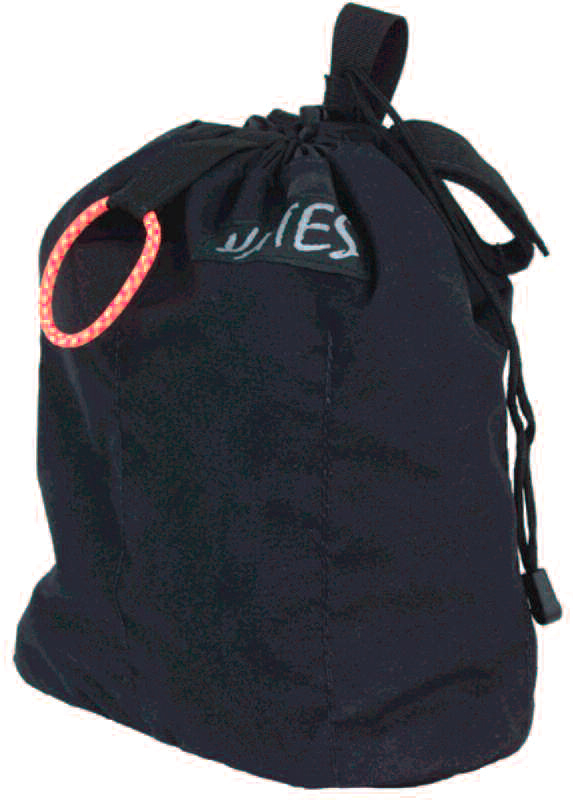 One handed opening and closure makes this bag very useful for stage riggers and rope access personnel. Inside circumference of bag is lined with individualized tool separators. Bag measures 10 inches tall, 8 inches in diameter. Reinforced rim, cord closure bag with inside bellows. Soft fleece lined for carrying studio light bulbs in the stage rigging industry. Can be used to carry a wide variety of items. Bag measures 8 inches tall, 5 inches in diameter. Offers the opportunity to scale heights using standard aid techniques. Ladders can be linked together to increase length. Made of 1 inch webbing and steps are reinforced with stiffeners. Built in spreader bar insures that steps remain open without causing foot pinching. Built in wrist loops included. Length 15 feet with 16 steps. Weight 1 lb. 15 oz. Similar to our bombproof Fast Rope Bags and big wall haul bags, the Riggers Equipment Pack is an extremely useful pack for the stage rigger who travels. Easily converted to a backpack style bag to carry heavy loads. Shoulder strap suspension system can be stowed under the cover flaps when not needed without having to be removed. This feature is ideal for airport travel. Constructed of the highest quality, extra heavy duty urethane coated nylon. This material has exceptional abrasion resistance. 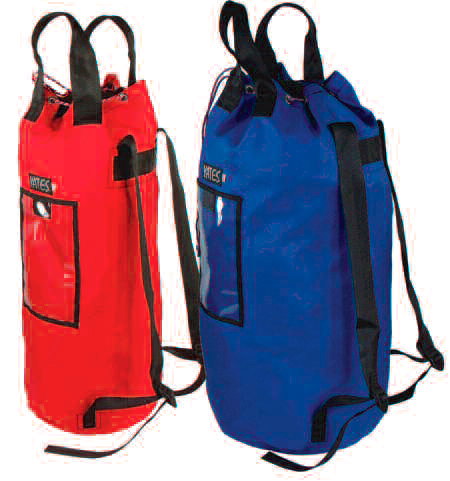 River bag style, roll down skirt configuration ensures that this bag is 99% watertight. Security strap over skirt can also be used as drag handle. Additional drag handle on bottom of bag. 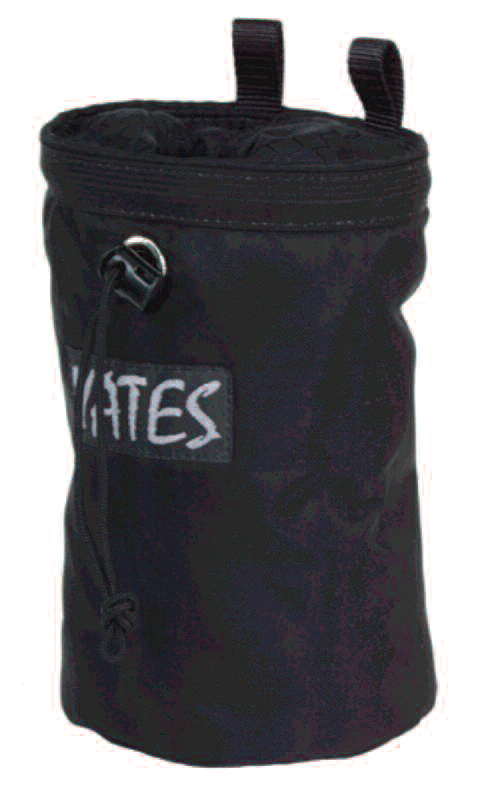 Bellows pocket with clear vinyl ID holder on side of pack for easy accessibility to quickly needed items. Designed to take years of heavy duty use and abuse. Weight 6 lb. 14 oz.